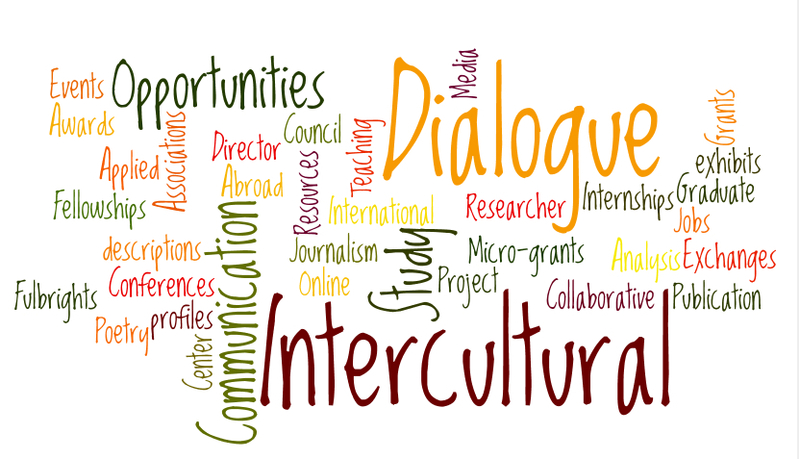 The Center for Intercultural Dialogue (CID) was established by the Council of Communication Associations (CCA) in March 2010. As such, CID broadly represents scholars in the discipline of Communication, but has a specific mandate to directly serve those who are members of any of the member associations of CCA. The goal of the Center is to approach intercultural dialogue at two levels: to encourage research on the topic of intercultural dialogue, but to do so through bringing international scholars interested in the topic together in shared intercultural dialogues about their work. For further information about CID, follow links to our Mission and objectives, History, Brochure, posts about CID, or Contact. See Who we are and What we do for complete lists of CID people and activities. CID currently publishes 3 sets of original publications, Key Concepts in Intercultural Dialogue, Constructing Intercultural Dialogues, and CID Posters. We have published a brief definition of intercultural dialogue (as a poster), as well as a 1-page summary of what it is (as a Key Concept). Read the 2017 Study of CID social media followers to learn more about who has joined this group before you. As a clearinghouse, this site is open to your contributions – see FAQ for how and what to add. Briefly, you may contribute content to one of the Databases or check the list of Grants for opportunities. All scholars interested in international research are invited to submit descriptions of themselves and their projects for posting under Researcher profiles, and to also submit citations of recent publications for inclusion in the list of Resources in ICD, so long as they are on intercultural dialogue topics. If you lead Study abroad courses, or want International teaching posts, either submit information to be added, or find it here. If you are part of one of the many Centers and Organizations that share goals with us, send information and we’ll add you to the list. You may read our Wikipedia entry, or look through all the posts to the site chronologically. Everyone is welcome to follow us either via email (click on “email subscription” on the top right of any page or post), or on any of the social media platforms where we have a presence: LinkedIn, Facebook, Twitter, or YouTube.